The Sunstone Condos complex has a total of 77 units on three floors, and is right on the ski slopes at the Chair 15 / Eagle Express Lodge area. Built in 2000, Sunstone Condos for sale offers three floor plans to choose from: 1-bedroom, 1-bath with approximately 560 square feet, 2-bedroom, 2-bath with approximately 813-833 square feet and 3-bedroom, 3-bath with approximately 1,153-1376 square feet. There is conventional financing available for Sunstone condos for sale because the complex doens't have an on-site rental office (located at Juniper Springs Lodge). Sunstone Condos for sale have many great amenities making it highly desirable for rental clientele and potential buyers. Some of the many amenities include: Outdoor heated swimming pool, spas, private underground parking, private owner’s ski lockers, rental guest ski lockers, mountain bike storage, fitness center, business center, Juniper Springs Resort free shuttle bus (on call for owners who have their units on their rental program), laundry facilities, on-site ski & snowboard rental shop, lift ticket sales, Juniper Springs Marketplace offering coffee, snacks, wine and sundries, airport shuttle, conference room facilities, elevator access and fully landscaped grounds with BBQ area. 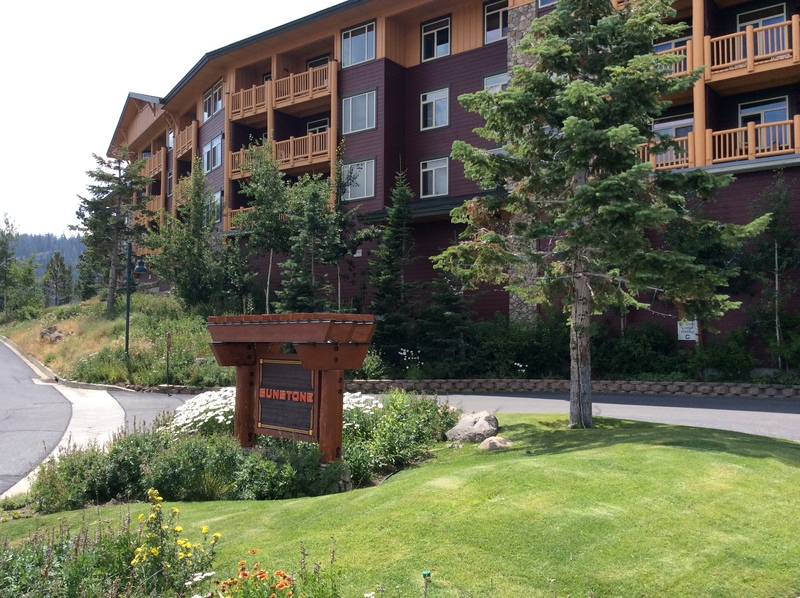 Listed below and updated daily from the MLS are condos for sale in Sunstone, a condo development located at 201 Juniper Springs Drive in Mammoth Lakes, CA. For additional information on any of these Sunstone condos for sale in Mammoth Lakes, click the "Request More Information" button when viewing the details of a property. We can provide you with disclosures, past sales history, dates and prices of condos recently sold nearby, and more.